In London air pollution is increasingly a challenge in the past year, which we could also experience in first hand. The Kings College London estimates that air pollution kills roughly 9,500 people in the city every year. Roughly 800 educational institutions in London also expose their pupils to high levels of nitrogen dioxide which exceed the European Union's legal limits. Air pollution is a world wide issue, which is why the World Health Organization held their first Global Conference on Air Pollution in Geneva in 2018. 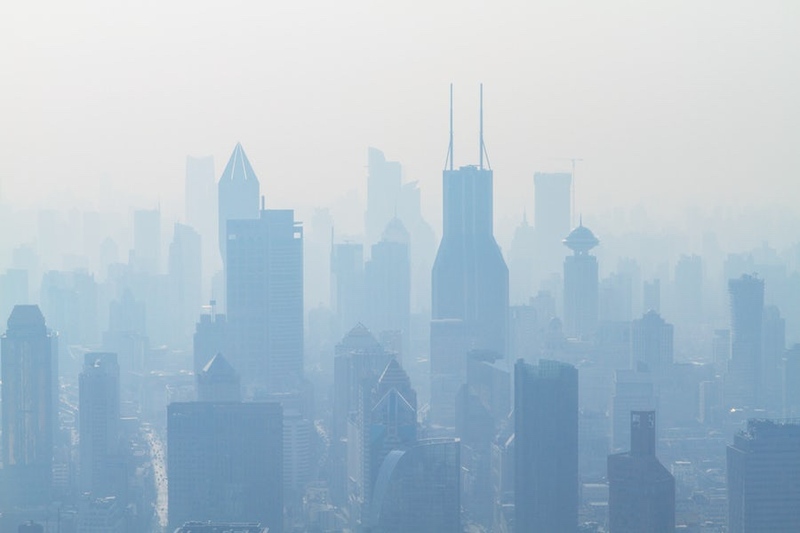 Currently 91% of the world’s population is exposed to air containing pollutants which exceed WHO guideline limits. In fact, the WHO attributes 29% deaths of lung cancer, 24% from deaths of stroke, 25% deaths of heart disease, and 43% deaths of lung disease to air pollution. Another city which is severely affected by air pollution is the Thai capital Bangkok. Bangkok has been battling toxic smog for many years now. However, in the past few weeks, especially at the end of December 2018 and in January 2019, the air pollution in Bangkok was really challenging. On Wednesday the 30th of January 2019 the air pollution in Bangkok was so high that the Bangkok Metropolitan Administration directed 437 city-controlled public schools to close. According to The Guardian, the main causes for its toxic air pollution in Bangkok are “exhaust from traffic, unfettered construction, the burning of crop stubble, and pollution from factories getting trapped in the city”. We asked Mrs Judith Coulson, who is the owner of a successful corporate wellness/health consultancy in Bangkok, about her experience of the past few weeks. Mrs Coulson, who is originally from Switzerland, has been living in Bangkok for more than 11 years now. 1) Last week Bangkok had one of the worse smog levels in months? How did you experience it? Firstly the air looked like fog and I could hardly see the office buildings further than 300m from my window. The air had an obvious toxic smell, and I felt that with each breath I did not get enough oxygen to satisfy my body and brain, which made me tired and resulted in a difficulty to concentrate. Simple physical activities like walking briskly or using outdoor stairs to felt like an aerobic exercise. 2) How to you protect yourself from high smog levels? I luckily had purchased a N95 compatible protecting face mask last year in anticipation of a decrease of air quality during the dry season in Bangkok. I also invested in a air purifier for inside the apartment. However during the worst days I did escape to the beach. 2) Does smog have an effect on your health? I guess that is not a secret. Additional to the symptoms caused by the lack of oxygen to your brain, tissue and nervous system, the micro dust particles also have a carcinogenic impact on lungs, increasing the risk of several lung diseases including cancer. 3) Why do you think does the government not do enough to battle hazardous smog levels in your city? Actually Thailand and Bangkok have emission regulations as we know them from Europe in place, but with the ongoing corruption, political back rubbing and lack of interest so far, the enforcement of those emission policies is nonexistent. We truly hope that with the current public interest and social media coverage this will change one day. 4) Will you take any future lifestyle changes to avoid hazardous smog in the future? I'm fortunate to not be a 100% location bound by my work and at the moment I'm looking to move part time to the coast. The current air issues have prompted several Thai and Expat friends of mine to consider their living situation too. Especially with small children Bangkok no longer (has never in my eyes) offers a suitable environment to grow up in. As we know Thailand, it will get worse before it gets better and the people that can do so will make alternative arrangements accordingly.